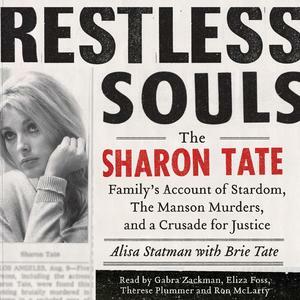 This is an engaging and sometimes moving (and sometimes overdone) account of the life of a family that was terribly affected and afflicted by a brutal crime – the murder of Sharon Tate. There are two names listed as authors, one being the domestic partner of Tate’s younger sister and the other her niece. But, in fact, the book was written by four parties since it incorporates the words of Sharon Tate’s mother and father; both of whom intended to write their own memoirs. And, to some extent, it was also written by Vincent Bugliosi as it borrows generously from his bestselling book Helter Skelter. 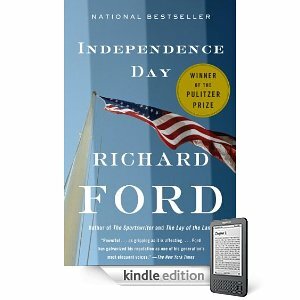 The one major flaw with this nonfiction work is that it was likely released at the exact wrong time. I may not be correct (and I am not taking a side on this issue), but the political winds seem to be blowing in the direction of a moderately to dramatically less “tough on crime” approach than was exercised in the past. This, at the least, appears to be true in California. Restless Souls at times reads like a legal and political brief for locking them up and throwing away the key. This is understandable as Doris Tate, Sharon’s mother, was a prominent figure in the victim’s rights movement in California and throughout the country a few decades ago. She was recognized as one of the Thousand Points of Light by the first President Bush and worked very closely with California governors George Deukmejian and Pete Wilson. Had this book been released in the period between 1980 and 1991, it would likely have drawn a great deal more attention that it’s going to get today. A major part of the “Crusade for Justice” addressed in this account were the attempts by the Tate family to ensure that none of the Manson Family members were released from state prison. These efforts were successful (Susan Atkins died in her cell); a fact which, ironically, takes away the weight and suspense of the telling. Probably the most interesting of the four family member’s accounts is the one written by Sharon’s father P. J. who was in court during the Manson Family trials. P. J.’s version of the courtroom dramas is fascinating, yet it takes a back seat to Bugliosi’s chilling version (Helter Skelter perhaps being the second best nonfiction account of a crime ever written, next to Truman Capote’s In Cold Blood). This is something that’s apparent to Statman and Tate since a surprisingly – almost shockingly – lengthy excerpt of Helter Skelter is used here to describe the murders of Sharon Tate, Jay Sebring and the others at the home on Cielo Drive above Beverly Hills. Astoundingly, Statman goes on to claim that Bugliosi’s book “was missing emotion” for the crime victims, something that could hardly seem to be less true based on the prosecutor’s writings and his work in court. It’s the authors’ emotions, on full display, that make otherwise cold accounts, Helter Skelter, In Cold Blood and Joseph Wambaugh’s The Onion Field, so very stunning and moving. These three books, once read are never, ever forgotten. Restless Souls serves as a needed reminder of how crime victims are often twice brutalized in our society and in the criminal justice system (having to deal with both a crime and its true aftermath in human terms), but I suspect it will mostly be read by criminal justice students as an historical account and not much more. A review copy was provided by the publisher. Restless Souls was released on February 21, 2012. The Boomers in our audience will remember what things used to be like during the late 1950s and the early 60s. A recording artist, like Chubby Checker, would have a hit with a song like The Twist; which meant that the follow-up 45 single had to sound as close to it as humanly possible (this usually meant a virtually identical tune with different words attached to it). In Chubby’s case, the next song was Let’s Twist Again. It is to the credit of the Beatles that they broke this pattern of releasing songs that were virtual clones of each other. Sometimes as a reader and reviewer I see this same pattern applying itself when it comes to popular fiction. Let’s say that our debut author Christy Crafty writes a novel called Becky from Bakersfield. Against seemingly all odds this story of a woman who can see what is going to happen in people’s futures becomes a moderate success. So what happens next? You guessed it, Christy does not want to rock the boat so she releases a follow-up (and the titles and book covers will naturally be quite similar) called Florence from Fresno. This will turn out to be almost the same tale except for the fact that this time around our female protagonist can see what happened in the past of the lives of the strangers she meets. The third book may be Sally from Stockton, about a woman who knows when people will die as soon as she encounters them. Now this may not be such a horrible strategy from a sales standpoint, except for the fact that book one is likely going to get great reviews, and each succeeding variation is going to be less charitably commented on. Eventually, Christy herself is likely to see that she’s put herself into a rut. And then even her most loyal readers will begin calling for something new and original from her. Why are reviewers and readers going to be increasingly disappointed in this commercial product? Because the freshness that accompanied the original novel from author Crafty is slowly leaked out like air from a damaged tire. The once delightful story that gets reworked over and over again becomes dull and flat. It is my own view – and it’s much easier for me to say since I do not write novels – that the moderately to highly successful new author should, after the release of the first well-sold and reviewed novel, quickly change styles before the release of the second book. Why? To prove to readers, critics and the world that he/she is a writer, one who can write novels of many forms, short stories, poetry (if the muse strikes), and perhaps articles on politics and sports. Again, why? Because this is the creative process – this is the essence of writing. Writing the same story repeatedly is not creative and fails to display one’s talents. It was the singer Natalie Merchant who noted that you simply cannot give the public what it thinks it wants, which is candy (musical or literary) all of the time. If you do, the public gets tired of you after it comes down from the sugar high – the false creative rush. Once they get tired of the same old thing, they not only stop buying it, they also join the critics in their anguished howls. Just look at the careers of this country’s most highly rewarded authors – the Capotes, the Mailers and others of their ilk – and you’ll see that they did not settle for rewriting one story time after time. (Truman Capote’s Breakfast at Tiffany’s and In Cold Blood could not be less similar.) They branched out; they changed even if simply for change’s sake. They stayed alive, as the Beatles did with their music, ever evolving, ever-growing; each and every collection of songs by John, Paul, George and Ringo was the result of new periods and experiences in their lives. To borrow the words of Bob Dylan, life should be about new mornings. It’s not dark yet, unless you elect to go living in the past, the shades drawn tight. 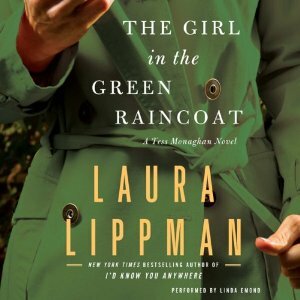 Pictured: The Girl in the Green Raincoat: A Tess Monaghan Novel by Laura Lippman, which was released by William Morrow and Harper Audio on January 18, 2011. This book (actually a 176 page novella) has absolutely no relationship to the matters discussed in this article – I simply like the intriguing cover image which makes me want to read it. Look for a review of The Girl in the Green Raincoat to appear on this site in the near future. When Truman Capote wrote In Cold Blood, he called it a non-fiction novel. With No One You Know, Michelle Richmond has written what might be called the fictional true crime story. Ellie Enderlin lives in San Francisco where she works as a coffee buyer, traveling to many countries to find the very best beans. Her sister Lila, a math genius, was murdered 20 years earlier while studying at Stanford. Things have come together in such a way for Ellie that she thinks its time to find out who killed Lila, and why. All in all, I enjoyed reading this story and Michelle Richmond’s writing style is smooth and easy to follow. Anyone who has lived in or loves San Francisco will connect with certain places and scenes in the book (the main character went to college at U.S.F.). Richmond also has a sly sense of humor… In one scene Ellie steps into a coffee house that features books having a certain theme. This time the theme is fog, and one of the books featured is Footsteps in the Fog: Alfred Hitchcock’s San Francisco. Then there’s, “a novel that I’d read recently, a sort of literary mystery about a kidnapping set in San Francisco. The book had been interesting, if somewhat drawn out.” In this way Richmond both references and makes fun of her earlier book, The Year of Fog. Clever! Despite a couple of issues mentioned here, I look forward to reading Richmond’s next novel. I may also read The Year of Fog, a book I decided earlier to by-pass due to its subject matter. 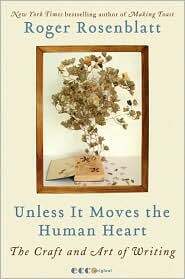 Richmond’s strengths lie in addressing the topics of morality, trust, human relationships, love and loss. In No One You Know, she makes a superb case for the need to learn (and accept) the truth about those we love – because the truth defines them in human scale, in human terms. And as Jackson Browne would remind us, sometimes we didn’t know what it was that we loved about another person. The love was enough.